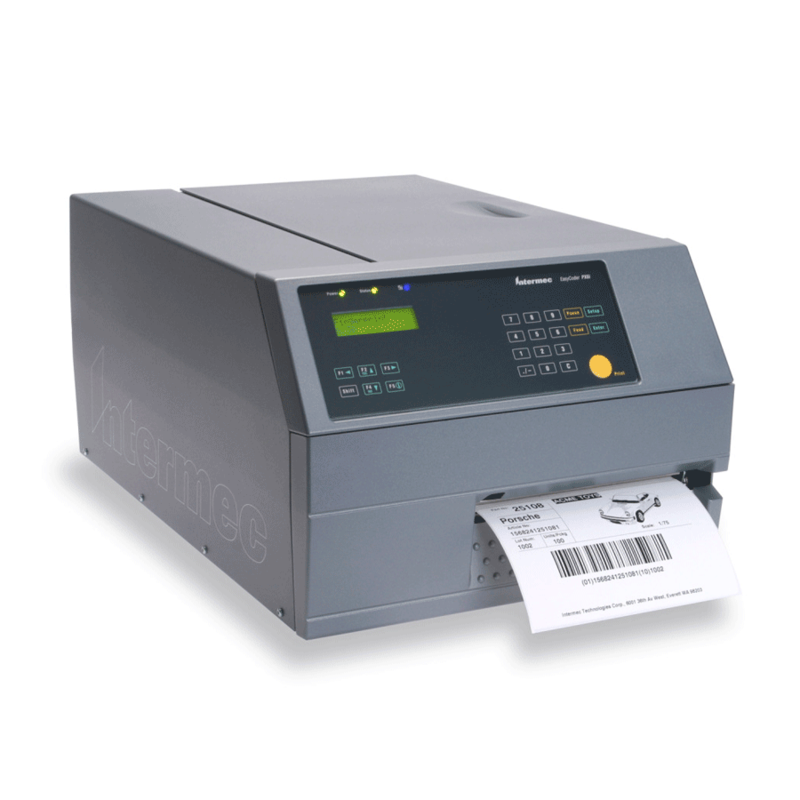 Members of the smartest bar code printer family on the market, the PX4i and PX6i are flexible and programmable, enabling customers to optimize their printing operations, streamline deployment, and achieve quick return on investment. Built to meet the needs of round-the-clock, mission-critical applications, the rugged PX printers deliver advanced connectivity and network protocols, ensuring peace-ofmind today and a reliable, scalable solution for the long haul. The PX4i and PX6i High Performance Printers are part of Intermec’s complete line of smart, strong and secure industrial printers. The PX printers’ smart design features support increased productivity in demanding environments. As Smart Printers, they can host stand-alone applications, developed through Intermec Fingerprint programming language, that reduce errors and streamline operational processes. Smart Printers can eliminate the PC and control other devices directly (such as scanners, scales, applicators), improving efficiency and decreasing infrastructure costs and complexity. Supports ISO 18000-6B and 18000-6C / EPC Generation 2 865-928 MHz radio configured to comply with local UHF RFID regulations including FCC and ETSI. Contact local representative for availability in particular region.